Shares in shipper PRGN rallied over 500% in the last seven trading days. However, the company recently sold all of its assets to pay down debt and has very little cash left. Even PRGN’s own CEO believes the current liquidation value of the company is negative. A peculiar note conversion arrangement has created unusual incentives for one of the Senior Noteholders. As these incentives disappear and the float will increase shares PRGN have very significant downside. Paragon Shipping (NASDAQ:PRGN) was once an international drybulk cargo shipping company, with a fleet consisting of sixteen drybulk carriers. However, that’s all in the past now: the downturn in demand for commodities and an overcapacity in the sector has taken its toll on this Greek company. It had to sell its entire fleet to pay down debt, and currently has no running vessel anymore. What’s left is an empty shell, some debt and … a share price that’s up over 500% this month. So what’s going on? In this article I’ll provide my analysis of what happened and what I think will happen in the coming weeks. In a previous article published on Seeking Alpha author Stanislav Oleynikovwrites he believes Paragon Shipping to be “a company without any assets and a lot of debt”. I agree with him. Even Paragon’s own CEO, Michael Bodourouglou appears to agree with him. So, effectively on a liquidation basis, the value of the company is actually negative”. Seniority has no value, as the value of the company is negative. There is no value right now, neither for the bonds nor for the equity. The only asset left in the company is a purchase order for three new vessels with a Chinese shipyard. However, Bodourouglou estimates the value per vessel at about 17 million dollars, while Paragon still owes the yard 21 million per vessel in installments. No wonder Paragon has tried its best to push-backthe date it is forced to take delivery of those vessels, as it has nowhere near the cash to pay for them. To state Paragon is in big trouble is an understatement. 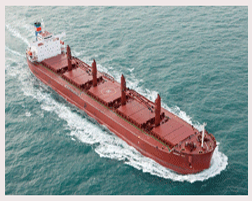 Shipping magazine Tradewinds reported in February the company was about to file for bankruptcy. This report turned out to be false and Paragon said it will sue for defamation. But it appears the most important reason Paragon is still standing is because absolutely nobody wins in a bankruptcy scenario: creditors currently have no hope of recovering any of their money in liquidation proceedings. Apart from shares PRGN, Paragon also has publicly traded 8.375% Senior Notes outstanding. They trade under the ticker PRGNL and are quite illiquid. The notes aren’t due until 2021 and have a denomination of $25. They traded below $2.50 at some point (meaning investors estimated the chances of ever being repaid as very tiny), but have since then risen to about $6 per note. Paragon is currently in default on interest payments on these notes, which were issued by the company in 2014. Based on the default the holders of the notes could ultimately invoke liquidation of the company (although, as described, this doesn’t seem likely). For this reason Paragon’s management has been trying to convince holders of the notes to exchange their notes into common shares. In January, Paragon reached an agreement with a private note-holder to exchange 25,000 notes for shares. In February, Paragon went even furtherlaunching a public tender bid on all remaining 975,000 notes. The offer was initially to exchange one note PRGNL for two common shares PRGN. Later Paragon upped the stakes by increasing the offer to one note for four common shares. All of this with little effect: note holders weren’t impressed and appear to be reluctant to give up seniority in a liquidation scenario; when the offer closed only 18.8% of the notes outstanding had been tendered (and were subsequently converted into shares). But here is where things get weird. With approximately 800,000 notes, 20 million dollars in principal amount, still outstanding, in early April Paragonentered into a private deal with a note-holder. This investor held 50,000 notes at the time. The deal that was struck is quite complicated, but after closer inspection remarkably generous compared to the public tender made to all other noteholders a mere one month before. Please bear with me here, as at this point I understand things get pretty complicated. The formula shown in the SEC-filing entails that the note holder accepts a discount factor being applied to the principal value of the notes, which is roughly consistent with the current market value of those notes. However, he also gets to convert notes to shares at a 25% discount to the lowest Volume-Weighted Average Price (click here for an explanation on VWAP) of shares PRGN on any trading day during the last 21 trading days. I’ll show you why this is a pretty sweet deal. Currently, the lowest VWAP over the last 21-day period (my source: Interactive Brokers) is $ 0.2309 on the 27th of April, right before the share price of PRGN exploded upwards to currently around $ 2.00. Remember, the holder can use this price, with a 25% discount on top, as a conversion price up until 21 days later. This applies even when the stock price, as it has now done, turns out to be a ten-bagger. All of this means the holder could currently, if he hasn’t already, convert his 50,000 Senior Notes, with a nominal value of 1,250,000 dollars and a market value of approximately 250,000 dollars, into roughly 1,8 million shares (currently worth about 3,6 million dollars). While all other noteholders were offered a 1:4 exchange ratio, this mysterious investor, I’ll call him investor X from now on, managed to secure himself an impressive 1:36 exchange ratio. On top of this, it’s quite clear PRGN’s recent stock price movements suit investor X down to the ground. He first had an incentive for the share price to drop in April (to secure an attractive conversion rate), and then subsequently have it rise spectacularly (to sell) afterwards. Coincidentally (or not), this is exactly what has happened. It also puts investor X in an odd situation where he has exactly 21 trading days to convert his notes into shares, and then into millions of dollars of cash, before his favourable conversion price “expires”. As the agreement forbids him from owning over a 4.99%-stake in Paragon at any one time, he would need to convert in several different batches. Therefore he would need a substantial amount of time to sell the shares. Again, recent chart movements show shares of PRGN holding ground remarkably well for now, which again suits him perfectly. I can argue and reason all I want, but ultimately there’s no way for me to know for sure who is converting what at what time until PRGN files its annual results. This filing will include an up-to-date share count. Unfortunately, Paragon has just delayed releasing this report, which was originally due the 1st of May. It will now be released somewhere in the next fifteen days. Paragon’s last known share count was close to 660,000 in January; about 740,000 in shares were added through previously described note-conversion. But that’s not all: there’s also an outstanding “toxic” convertible note (which converts to, currently, restricted shares at a deep 35% discount to lowest 21-day VWAP), as well as an existing at-the-market-offering with Maxim Group which allows Paragon to sell shares for up to 4 million dollars in proceeds. All of these will add new shares to the float diluting current shareholders. The trading volume of shares PRGN has ranged from 3,5 million to 24 million(!) per day over the last seven trading days and suggests the float has in fact already greatly expanded. I don’t often come across a company basically everyone (including the company’s own CEO) admits is near worthless. It’s even more rare that company’s stock price is spiking regardless. Of course, I can only speculate about the origin of the trades that caused the share price to spike in the first place. I do believe the remarkable private agreement made between Paragon and a note-holder, which I explained in-depth in this article, has created very peculiar incentives with regards to the development of the share price of PRGN for that particular investor. Because of the way the conversion agreement was structured those incentives will disappear in the next ten to fourteen trading days. I believe that whatever is currently offering support to the Paragon share price at these unlikely price levels will likely stop at that time. Also, Paragon will need to release its annual results somewhere in that time frame providing everyone full insight into how many notes were converted into how many shares and at what price. This report will also reveal what the current float (and therefore, the current market cap) really is. Ultimately, regardless of short term volatility, I believe Paragon to be worth a fraction of what it is currently trading for. Only extremely bullish and very unlikely near term developments in the shipping sector (which could theoretically create some positive value for the only asset the company still has: the three orders for new vessels with a current negative value) could save the company from its downfall. As an extremely far out-of-the-money call option on the shipping sector shares PRGN might be worth a generous $ 0.10 at most. This value will only decrease as shareholders will likely continue to get severely diluted over the next few months. In the mean time, a number of questions remain unanswered with regards to that mysterious note/stock-conversion. Who is investor X? Why would Paragon agree to such an exchange which clearly appears to be a very bad deal for both the remaining note-holders as well as the common shareholders? Will other remaining holders of PRGNL also be allowed to take advantage of these incredibly generous exchange terms? Anyone that currently still holds PRGN or PRGNL would do well to ask some very serious questions on the next Paragon conference call. I’ve asked Paragon for comment and will update this article if and when they reply. Disclosure: I am/we are short PRGN. Eleven Biotherapeutics: No Immediate Pipeline And Running Out Of Cash; 70% Downside.